A just-completed project in Qatar. 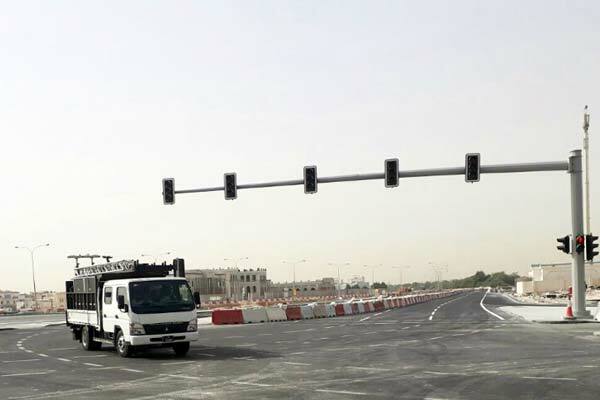 Qatar's Public Works Authority (Ashghal) will implement roads and infrastructure projects worth QR21.8 billion ($6 billion) across the country this year, a report said. The announcement was made by Ashghal at a seminar to brief construction industry professionals and contractors, said the report in the Gulf Times. Ashghal assistant president Abdullah Hamad Al Attiyah and a number of senior officials attended the day-long event. Of this, the main spending is on expressway works totalling QR11.08 billion and infrastructure and local road projects worth QR8.88 billion. The remaining QR1.84 billion is earmarked for sewage treatment plants and assets projects, according to a break-up published in Ashghal's official news magazine, the report said. It was also informed that Ashghal completed more works in 2017 than what was achieved during the previous four years (2013-2016) and more than 60 per cent of what was completed last year was carried out after last June. Quoting Ashghal president and senior engineer Saad bin Ahmed Al Muhannadi, the magazine said 90 per cent of the projects related to the 2022 Fifa World Cup would be completed this year. It was also informed at the seminar that a total of 18 roads and infrastructure projects would be implemented in the new and existing sub-divisions next year. Ashghal assistant president Abdullah Hamad Al Attiyah and a number of senior officials attended the day-long event.